What would you do if you had all the confidence in the world? According to Emmylou MacCarthy, you should “just do whatever you want to do”. This is Emmylou’s mantra. It’s what she’s known for. It’s apparent in everything that she does and her thousands of social media followers couldn’t agree more, having most recently strut down Melbourne’s very popular Bourke Street Mall in just her bathers! She absolutely rocked it because she did it with confidence. Emmylou MacCarthy is an Australian TV presenter. 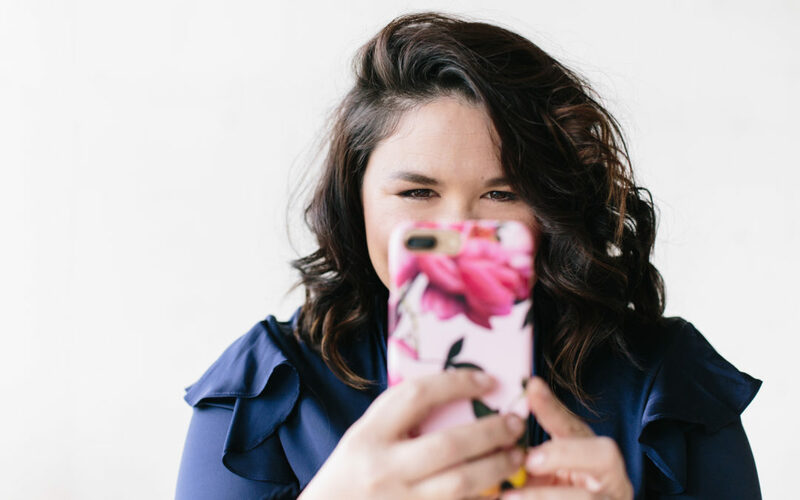 She’s also the Host and Executive Producer of Dot Com Social, a show dedicated to introducing the personalities and small businesses behind some of Australia’s most successful social media accounts. She’s also an accredited fashion stylist and make-up artist. She loves her martial arts and swimming, and is a proud mum of 3 gorgeous kids. AND she’s also an adrenalin junkee, having sky dived over 300 times! With Emmylou MacCarthy, what you see is what you get. And this translates into her Instagram account, @emmylou_loves. She’s one authentic, genuine woman with a go-get-it attitude and it’s so refreshing to see. Emmylou and I recently had a very open conversation for this podcast about her success and her perspective on a whole stack of stuff. Trust me when I say Emmylou is one amazing human with so much great advice. PS. If you love this episode, don’t forget you can subscribe and give a 5-star rating to The Promenade With Me Podcast on iTunes and TuneIn. This will help the show reach even more people. Thanks a million!